Marcus Tullus Cicero was born on January 3, 106 B.C., in the town of Arpinum, in the Rome Republic. His father was a wealthy member of the Equestrian Order, and he had many physical disabilities. The disabilities were bad enough that he did not pursue politics and instead spent much of his time educating himself. Little is known about Cicero's mother Helvia. We do know that Marcus Cicero and his brother Quintus received an excellent education while studying under many of most important scholars of their time. The brothers learned both Greek and Latin. Largely, they focused their studies of ancient Greek philosophers, history, and poetry. At the time, all of the great orators spoke in Greek. Cicero is credited with using his knowledge of both languages to translate many of the Greek philosophical concepts into Latin. The result was that Greek philosophy reached a much larger audience. He was one of Rome's most famous orators. Cicero wielded enormous influence in the final years of the Roman Empire. 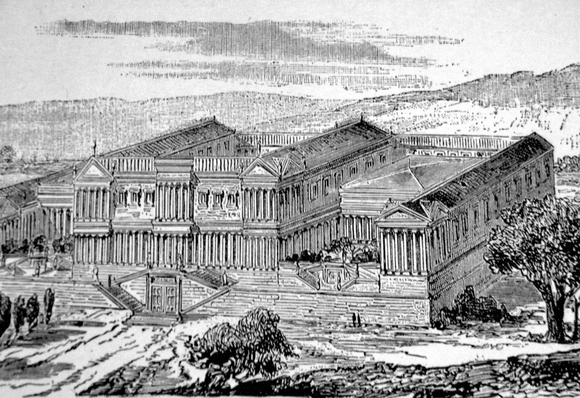 Cicero studied law under Quintus Mucius Scaevola at the Roman Academy. He became a lawyer in 83 B.C. 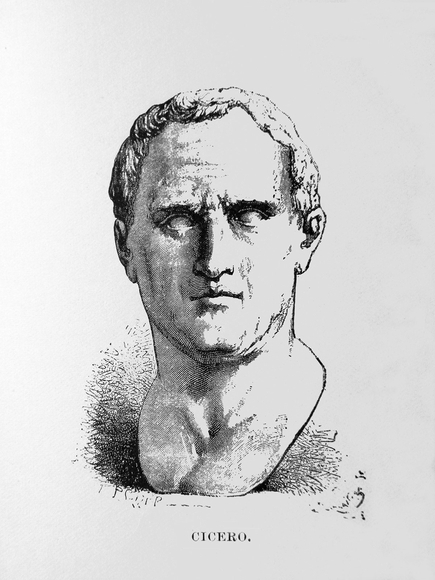 Cicero would first come to the public’s attention in a property dispute and would not see his first major case until three years later when he chose to represent Sextus Roscius. Roscius was fighting the horrible charge of patricide (killing one's father). Cicero responded by accusing the Roman dictator Sulla's closest friends. He especially attacked his confidant Chysogonus, who was very rich and powerful. Cicero was brilliant in the defense of Roscius, pointing out that he had nothing to gain by killing his father. It seemed like he went after everyone in the courtroom, including the officials who brought the charges. In the end Roscius was acquitted. By now Cicero was on the bad side of General Sulla. Scared for his life he left for Greece and Rhodes, where he lived until 77 B.C. In 75 B.C., he was elected to the position of quaestor (tax collector) in Sicily. Then, after returning to Rome he was elected to aedile(in charge of sports and public buildings) and praetor (chief judge). In 63 B.C., he was elected consul, (chief executive) of Rome. At first, Cicero supported the popular party, and he wanted to grant unlimited powers to General Pompey. However, at some point he abruptly switched and joined the aristocrats. At the time, he came out against any type of agrarian reform. He also went after the populist politician Catiline and eventually had him executed. The Roman Senate congratulated him for the execution, even bestowing honors on him, but he was now despised by the populists(popular party). Then, in 58 B.C., one of Cicero's enemies passed a law exiling any officials that had executed a Roman without a trial. Cicero was forced to flee to Greece. When he returned to Rome in January of 49 B.C., he found the Roman Empire in the middle of a civil war. Immediately, Cicero sided with General Pompey. Next, he sailed to Greece, and participated in battles at Dyrrhachium and Pharsalus. His actions were enough to gain a pardon from Julius Caesar. Cicero would spend the next few years writing. Then when Caesar died he emerged as a champion of the Roman Republic. He was assassinated after delivering a scalding speech attacking Mark Anthony.